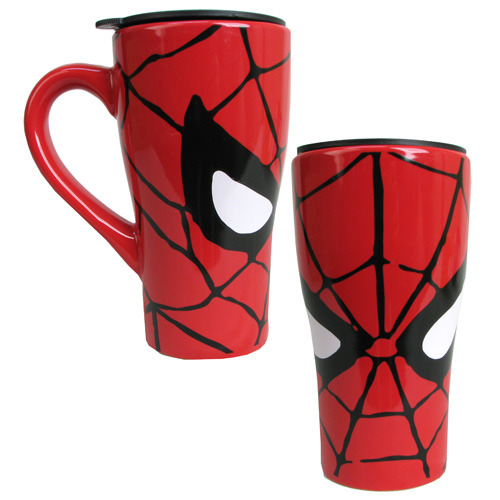 Have you ever wanted to have Spider-Man looking at you while you drive and have your morning cup of coffee? Wish fulfilled! This Spider-Man Face 18 oz. Ceramic Travel Mug is predominantly red, featuring Spidey's face on it and is best used for holding up to 18 ounces of liquid otherwise too hot for a normal cup or glass while in transit - it's even got a lid to keep from spilling!